Opinion | The Cross-Manifestations of Buddhas, Bodhisattvas & Gods? 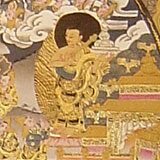 The Cross-Manifestations of Buddhas, Bodhisattvas & Gods? Singapore -- It is common for those unfamiliar with the different intricate details between various religions to suppose that all the divine worshipped or taken refuge in are exactly the same, to be manifestations of one another in myriad forms, that they are “all the same”. However, upon closer look, it is also common for each religion to proclaim itself to be the ultimate expression of the sacred, while believing that other religions might not even be true. The conversation is when the Buddha defined himself as above both the human and divine (godly). In fact, even the wise devas go to the Buddha for refuge. (See http://www.accesstoinsight.org/lib/authors/jootla/wheel414.html ) As such, one of the traditional titles of the Buddha is “Teacher of humans and gods”. http://www.accesstoinsight.org/tipitaka/dn/dn.16.1-6.vaji.html#t-28 ) - “And I recall, Ananda, how I have attended each of these eight kinds of assemblies (nobles, brahmans, householders, ascetics, of the Four Great Kings, of the Thirty-three gods, of Maras, and of Brahmas), amounting to hundreds. And before seating myself and starting the conversation or the discussion, I made my appearance resemble theirs, my voice resemble theirs. And so I taught them the Dhamma, and roused, edified, and gladdened them. Having seen the Dona Sutta, the answer is obvious - he wasn't a human or a god; he was the Buddha. This ability to manifest at will into forms he wishes is not limited to the Buddha. The great enlightened Bodhisattvas too have the ability to do so. Many of these Bodhisattvas are in reality ancient Buddhas, who chose to re-manifest as Bodhisattvas out of boundless compassion to skilfully aid beings to liberation. Note that it was stated that “Therefore you should all single-mindedly make offerings to Guanshiyin Bodhisattva.” It was not taught that the gods should be taken refuge in, though they are definitely respected. The gods are not taken refuge in because it is not clear which god taken refuge in is a Buddha (or Bodhisattva). It is clear that Buddhists only take refuge in the Triple Gem - the Buddha(s), the Dharma and the Sangha. The Sangha however, technically encompasses anyone, including gods who have attained any fruit of sainthood (e.g. Shakra, who is a stream-winner). Even so, the Buddha(s) collectively form the ultimate Sangha - as they are fully enlightened. The belief in the ability of Buddhas and Bodhisattvas to manifest as enlightened and unenlightened gods is very interesting. While some “purists” might see this as possibly leading to the “corruption” or “dilution” of the Buddhist teachings, it can be seen to be great “clarification” of the breadth of enlightened skilful means. Even if the Buddhas and Bodhisattvas manifest as gods, what they teach will always be the Buddhadharma, or that which leads (in)directly to the Buddhadharma. Back to the Hindu-Buddhist tension on the status of the Buddha. Lesser mentioned is the tension of how even supposedly Hindu gods (with similar names as those in the Buddhist scriptures) might be (occasional?) manifestations of Buddhas and Bodhisattvas. How do we reconcile the differences in view? The truth is, there is no need to - because it might raise further unneeded tension. Surely, neither the Buddhas nor any good gods would wish conflict in their names, if they truly exist. There is just the need to agree to disagree harmoniously. Religious harmony, after all, is to make peace with both similarities and differences. The last thing to do is to force another to accept one’s beliefs. In the spirit of the Buddha's advice of free enquiry, we should urge one another to doubt the doubtful, and to personally probe with intelligence instead. Related Article: Are Buddhists Atheists?